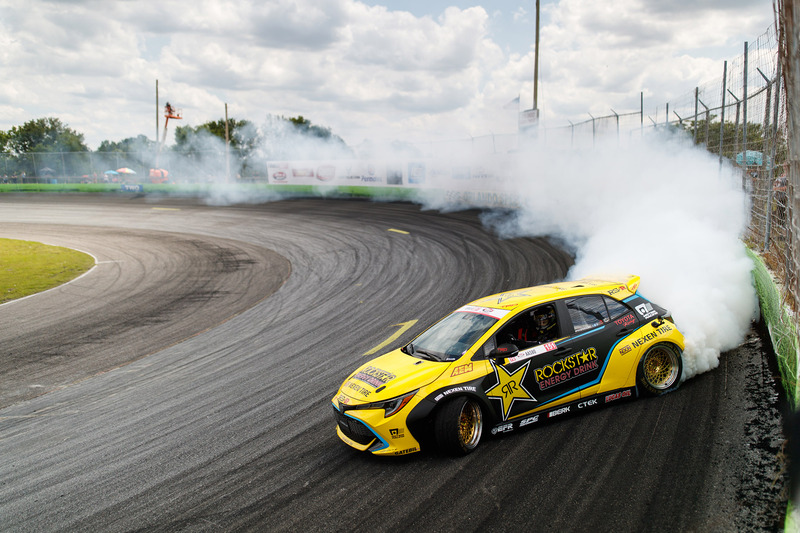 With over 100 podium finishes to his credit, it’s safe to say that Fredric Aasbo is a preeminent talent behind the wheel in the realm of drifting. 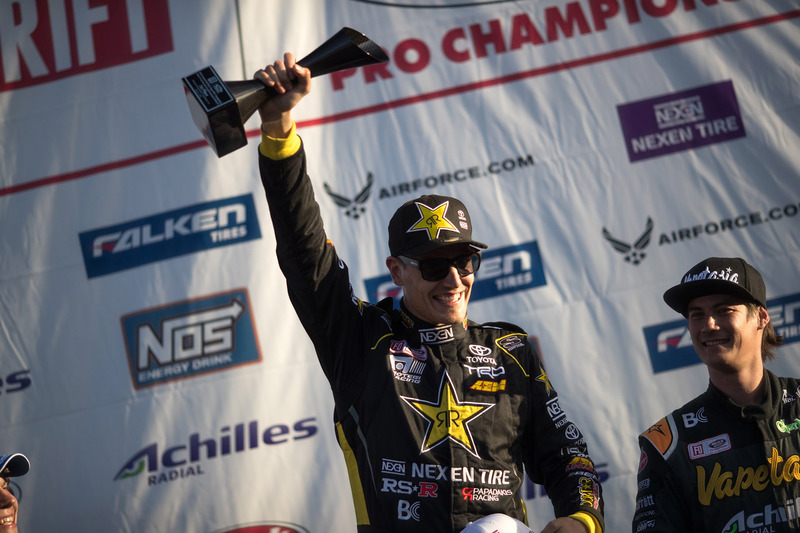 That track record makes him the most successful competitor in Formula Drift history, a path he set upon right out of the gate when he won the Rookie of the Year title in the 2010 season. The 2018 season sees Aasbo and the Papadakis Racing team campaigning a new car based on the all-new 2019 Corolla. This Corolla is a bit different than one you might find at your local Toyota dealership, though – it sends roughly a thousand horsepower and 850 pound-feet of torque exclusively to the rear wheels. Aasbo says this was around 2003 or so. While competition drifting was well-established in Japan by then, it was still in its infancy over in Europe. “I basically grew along with the sport out there,” he says. “I won a few events in the local series, then a championship. Then in 2008, I read that there was going to be a world championship in California with the top 32 teams in the world. At that point it seemed like we were far from being good enough to do that, but I put together a proposal and sent it to Jim Liaw, the president for Formula Drift. After a couple of months of waiting, I got an email back from Jim that said, “Pack your bags – see you in Long Beach.” And the rest, as they say, is history. 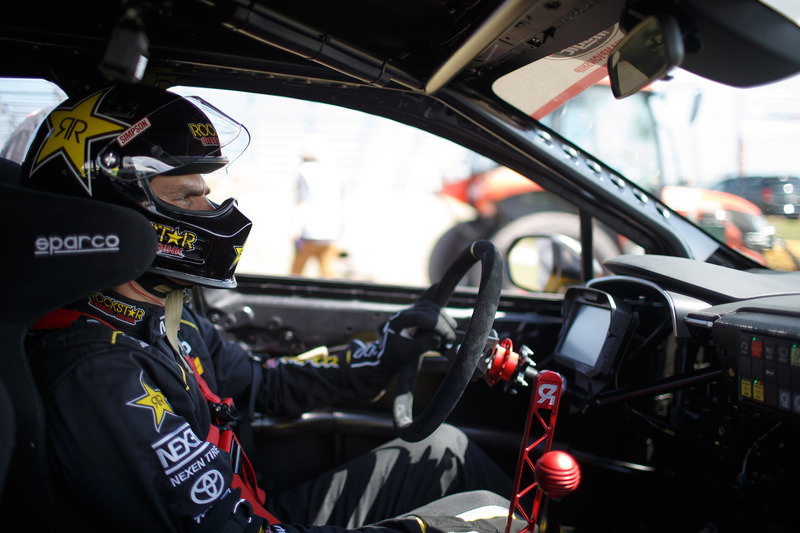 While most all-new race cars take some time to dial in – even those that don’t require a rear-wheel drive conversion and seven times the engine’s stock output – Aasbo and the new Corolla came out swinging this season, winning round one and taking a podium spot in round two. Papadakis Racing team owner Stephan Papadakis earned his reputation in motorsport in the 1990s within the realm sport-compact drag racing. While many drift teams have more conventional setups that use high-displacement motors in natively rear-drive cars, Papadakis’ decades of experience with import platforms has undoubtedly helped the team dial in this unique chassis and powertrain combination. Sparco racing seats keep the Corolla’s occupants in place, while an AEM CD-7 digital display feeds back vehicle information to the drive. Gear changes are handled by Gforce GSR four-speed manual transmission. Papadakis Racing’s Toyota engine boasts some potent hardware, though. Fed a steady diet of E85, the 2AR has been punched out to 2.7-liters and sports a valvetrain from Supertech Performance, head work from Portflow Design, 2000cc fuel injectors from Injector Dynamics, and a whole slew of reinforced internals to handle the dual power-adder strategy that the team employs here, which consists of a single Borg Warner EFR 9174 turbocharger and a nitrous system that automatically kicks in once more than a certain amount of throttle has been called upon. 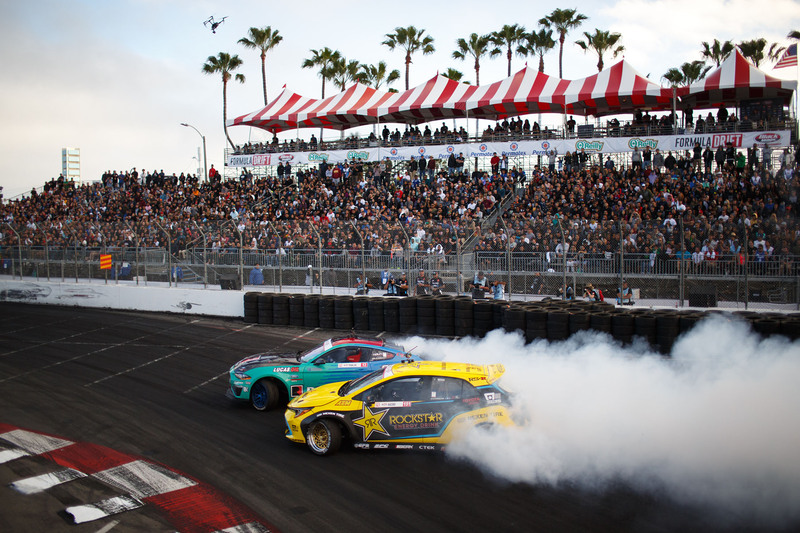 Originally from Ski, Norway, Aasbo made his U.S. debut at a global drifting invitational in 2008. He went on to win the Formula Drift Rookie of the Year title in 2010 and the Formula Drift championship in 2015. All in, the diminutive four-pot boasts 1000 horsepower and 850 pound-feet of torque. 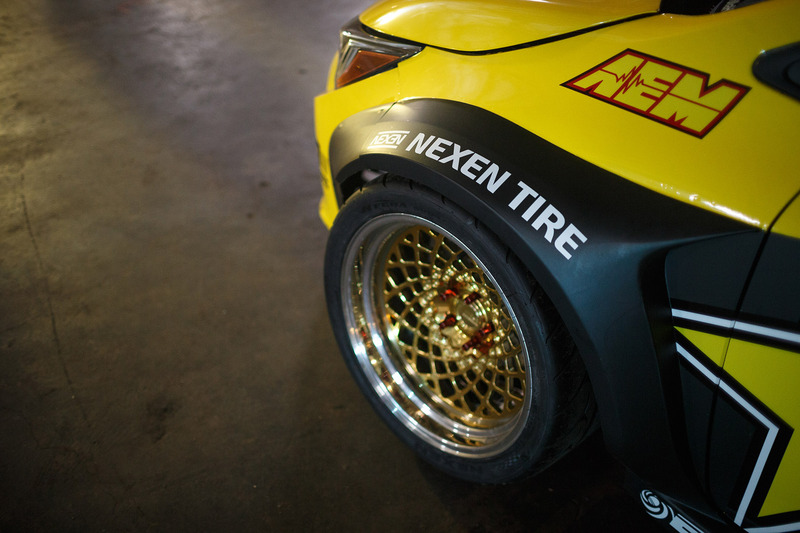 While that number is impressive, the fact that the team has honed the engine to deliver the on-track drivability Aasbo needs in competition and durability required to withstand the abuses of Formula Drift is even more impressive. Under the hood of the Corolla is 2.7-liter Toyota 2AR four cylinder engine. To give the diminutive powerplant the grunt it needs to go up against high output V8s, the Papadakis team has outfitted the mill with a Borg Warner EFR 9174 turbocharger, an on-demand nitrous system, a totally reworked valvetrain, and a whole host of a host of reinforced hardware from top to bottom. 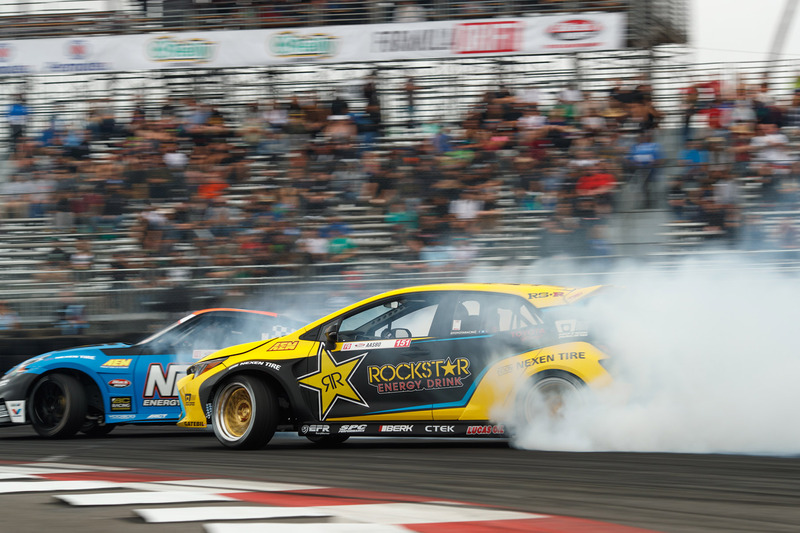 “Stef has more than two decades of experience dealing with really high horsepower four cylinders,” Aasbo explains. “He knows how to develop an engine program, and everything is reinforced – we’ve got billet main caps, a totally reworked valvetrain, the most badass sleeves you can get, etc. What’s interesting is that while we’ve broken just about everything at one time or another, we’ve never had issues with the JE pistons we use. The cylinder pressures have caused gasket failures and some other issues on the bottom end, but we’ve never seen a broken piston, or ring lands, or anything like that. We’ve basically stuck to the theology of testing the motor, seeing what breaks, fixing that, and then moving on to the next thing. 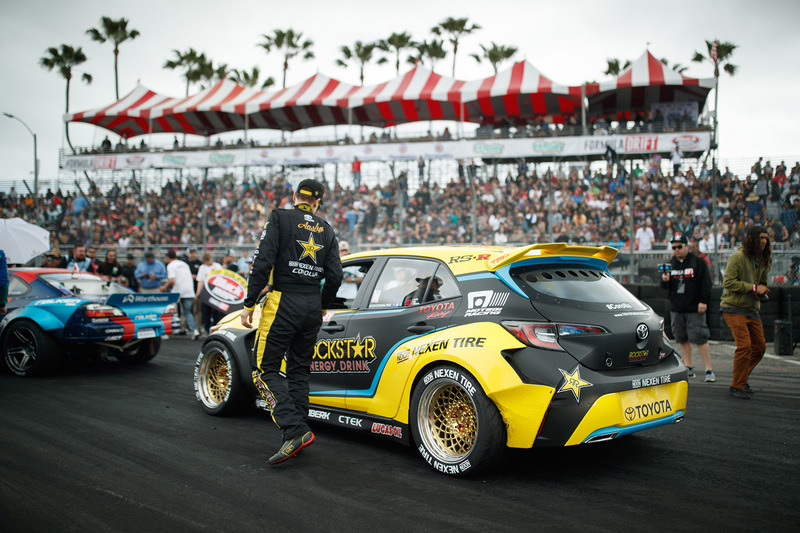 We’ve had our fair share of issues over the years, but at this point it’s dialed in to the point where it’s very reliable.” That reliability helped put Aasbo on the podium in three of the eight events in the 2017 Formula Drift season and second place in the championship. The Corolla sits on a set of custom RS-R coilovers. Custom Papadakis Racing sway bars help keep the car stable and predictable during the high-speed sideways action that Aasbo gets into. Motegi MR406 wheels measuring 18x9 up front and 18x10 in the rear are wrapped in Nexen N’Fera SUR4G rubber.